As my colleague Jason Stricker discussed in his blog post 3 Keys to Building Strong Instructional Leadership Teams, an ILT is a lever that drives success for your school’s most important improvement initiatives. The team is generally made up of administrators, mentor teachers, and teacher leaders who work collaboratively to execute on key goals. 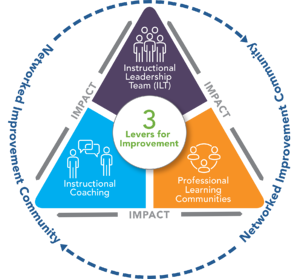 One of the three key levers for school improvement, a strong ILT sets the foundation for successful implementation and support of other key levers for bringing change, such as professional learning communities and instructional coaching systems. In addition, the ILT structure is key to not only executing on important improvement initiatives, but to ensuring that the impact of its work leads to a positive school climate and culture. planning for the implementation of a new curriculum. Teachers have told us that they appreciate having not only a seat at the table but a voice on key initiatives. 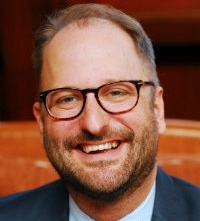 Members at various levels have said they appreciate knowing they have a time each week to bring up and work on key issues facing their schools—reducing the number of other meetings overall. To ensure your ILT is successful in its work, here a few potential pitfalls to avoid as you implement your team. Pitfall #1: Failure to select the right team. 1) The process for including those non-administrative roles (i.e. teachers) on the team is not open, fair, and transparent. When other faculty members feel the process was predetermined, the credibility of the entire Instructional Leadership Team will suffer. 2) The criteria for selection to the ILT is not aligned to the team’s roles and responsibilities. For example, we often see principals add a teacher to the team based on longevity instead of exemplary instruction, coaching adults, or effectiveness at leading professional development. This pitfall is so critical because if the team does not have the right people, the other pitfalls are almost inevitable. Pitfall #2: Failure to follow a consistent agenda format and process. The work of school improvement involves many moving pieces. The ILT is the critical lever in managing those pieces and keeping a laser-like focus on the goals, adjusting methods to achieve them, and consistently analyzing data. Follow a consistent, agreed-upon agenda format that includes opportunities for updates on rocks, issues to discuss and solve, and to-dos assigned to specific individuals. Consistency saves time and provides structure to meetings. Give an opportunity for members to add their issues for discussion ahead of the meeting. This not only saves time but ensures that everyone has buy-in to the topics discussed. Be vigilant about beginning and ending on time. This is a key factor in ensuring every member’s time is respected and that members don’t resent coming to future meetings. Pitfall #3: Allowing a few members to dominate the team’s decisions. When considering the composition of your ILT, in addition to the principal, assistant principal/dean of students, and instructional coach(es), ensure that you are selecting teachers representing a variety of grade levels and content areas. The premise of distributive leadership is that schools employ the strengths of each team member in order to maximize the impact of the collective ILT while simultaneously allowing for the growth of each individual team member. Pitfall #4: Discussing non-instructional items. One of the reasons we specifically call this team the “Instructional” Leadership Team is to highlight their singular focus. While there are many administrative matters for schools to address, those items should not be included in this meeting. Building leaders should have at least one hour per week to focus solely on instruction. Our ILT training often includes making one member of the team responsible for ensuring that the group adheres to the norms established—and this includes pointing out any non-instructional rocks, issues, or conversations. Pitfall #5: Failing to regularly update your broader staff about the ILT’s function, goals, and progress. Clear and timely communication through a variety of channels is key to executing on change in your building, including getting buy-in from your staff on key initiatives and creating a positive climate and culture. Look for formal opportunities, such as staff meetings and weekly emails, to inform staff. Look also for informal opportunities, such as hallway conversations and bringing connections into PLC meetings and coaching sessions. Are we meeting regularly (weekly)? Have we established a clear vision, goals, and action steps? Are the right people on our ILT? Do we need to add people? How is the team cultivating a mindset of focus, discipline, and accountability? Are we working on the right challenges (i.e. rocks) to solve? Are we regularly reflecting on what’s working and what’s not in terms of achieving our goals? Who can provide outside feedback on how well our ILT is doing? What small and big wins can we celebrate? Lastly, keep in mind that it takes time for a structure like this to be fully optimized. Be patient and persistent in developing your ILT. As school leaders have been telling us, you won’t be disappointed with the wins you’ll experience. execute those initiatives with focus, discipline, and accountability. 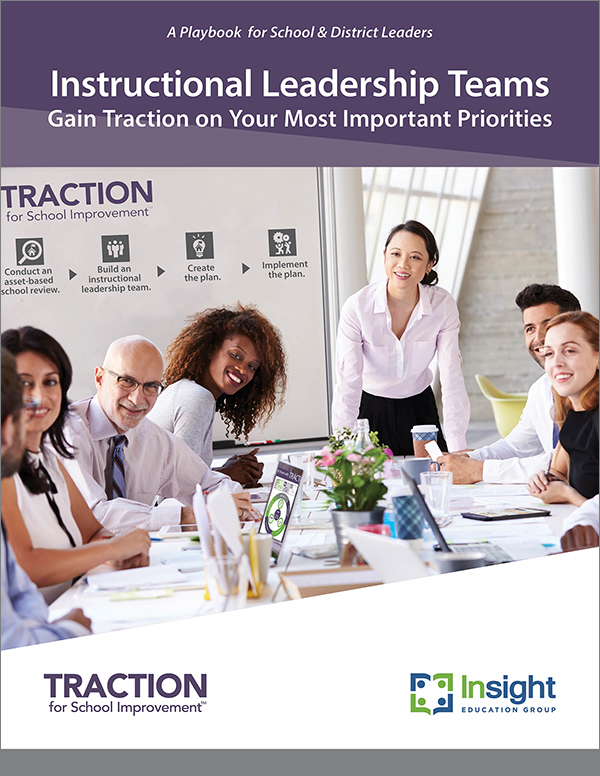 To learn more about more levers for improvement, including instructional coaching and professional learning communities, check out Insight's latest eBook.